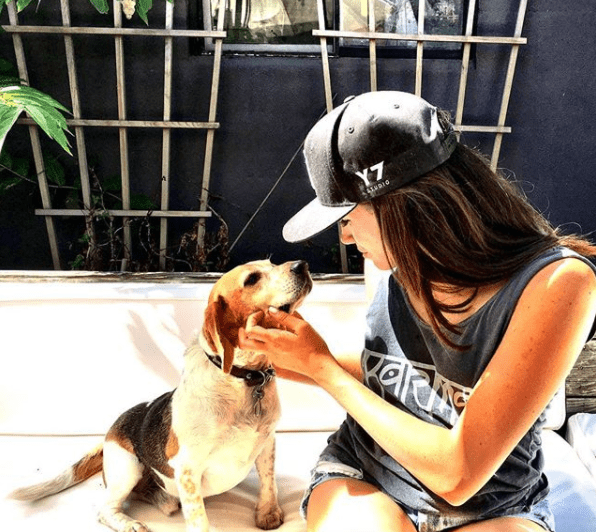 Meghan Markle is a long time supporter of dog adoption, which makes her pretty perfect in our eyes already - but the fact that it's being reported that concern over her dogs coming to the UK and settling into palace life tipped reporters off that an engagement announcement was pending, tells us just what her dogs mean to her. She owns two dogs, Guy, a Beagle and Bogart, a Labrador cross. Up until December 2016, the dogs she describes as her 'loves' were regularly featured on her social media pages. Guy, wearing a Union Jack jumper previously owned by Bogart as a puppy was the last photo the actress added of her dogs in December 2016. A month before, she posted this cute photo of her dogs curled up on the sofa in a moment of zen. And this photo captured the actress (soon to be princess) sharing a car journey with her loves enjoying a Sunday off. While her life is about to change forever, it seems clear the love she has for all animals and her boys won't change one bit - but sadly it appears Meghan had to make a choice to leave one of her dogs behind and only Guy has made the trip to England. During an interview with the BBC's Mishal Husain talking about her engagement to Prince Harry, she revealed: "I have two dogs that I've had for quite a long time, both my rescue pups. And one is now staying with very close friends and my other little guy is, yes he's in the UK, he's been here for a while. I think he's doing just fine."